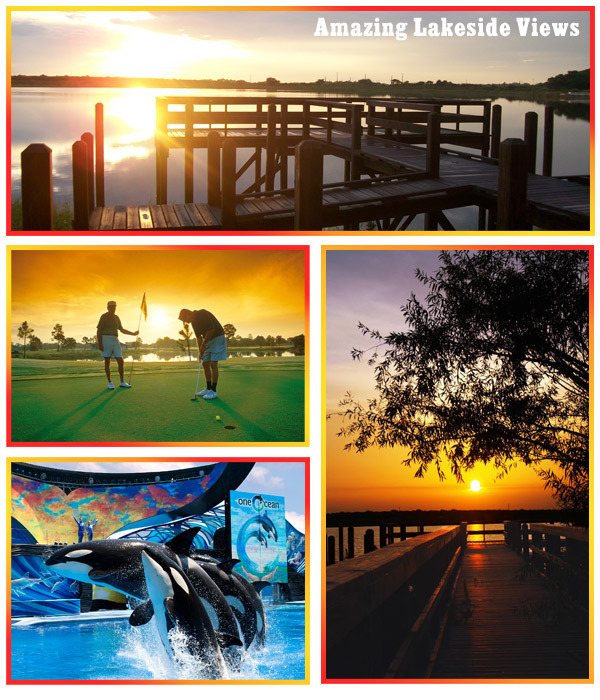 Whether it’s magical lakefront sunsets, championship golf, fresh-water fishing, air-boat rides or simply relaxing with friends and family, you’ll find it all at Tower Lake Vista. Situated alongside the beautiful and natural 'Tower Lake' in Central Florida, the new gated community offers facilities and holiday villas which are the envy of other vacation communities. Being located on Highway 27 just south of Interstate 4 means you can be at the gates of Disney in just 15 minutes and avoid the hassle of congested traffic stuck in the more built-up areas around Kissimmee and South West Orlando. There’s more to Central Florida than just Disney and the strategic location of Calabay Parc, Tower Lake means you can be on the Gulf Coast beaches or Busch Gardens in Tampa in little under an hour. The all new Legoland is a 15 minute drive and Universal Studios and Sea World is just 25 minutes away.